The best holidays are the ones where you felt like you’ve lived just like a local. Our villas, farmhouses and apartment packages is just that type of holiday – with no hotel restrictions, you choose to do what you want when you want. We have carefully chosen a range of farmhouses (villas) and apartments, all dotted across the Gozo countryside and on the island of Malta. These properties are built in varying styles – we have everything from picturesque village villas, rustic countryside farmhouses and ultra-modern apartments. These holidays will suit all budgets as our properties range from the budget-conscious comfort collection - this standard of accommodation offers great value-for-money and all the necessary facilities that you would need for an enjoyable holiday. Our enhanced superior collection boasts upgraded facilities and/or decor, such as a satellite TV. These fantastic properties accommodate a varying number of group sizes, from two up to eight persons – these holidays are perfect for a couple seeking a romantic seclusion or a family or group of friends seeking a fun-filled holiday. 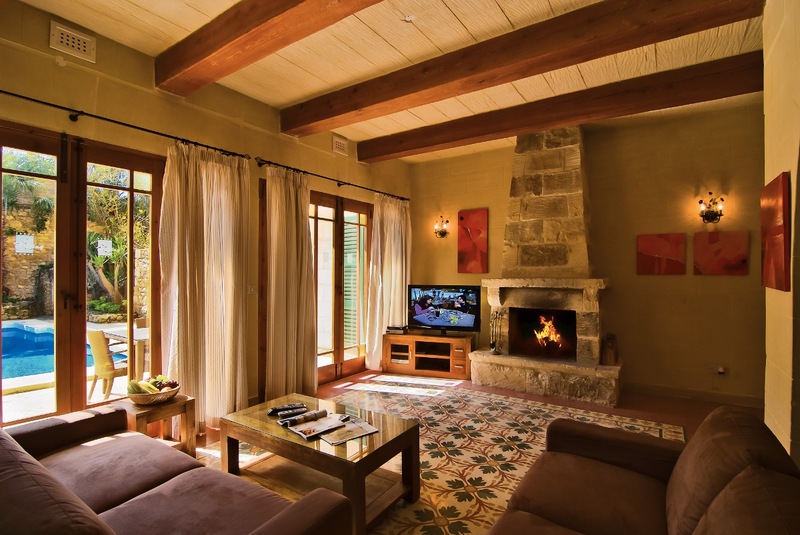 Situated in Sannat and surrounded by beautiful countryside, these villas effortlessly blend traditional Gozitan architecture with elegant furnishings and the convenience of modern facilities. A perfect spot for a lazy holiday. Djar Ta'Menzja comprises four luxury villas - Djar Ta Menzja 1, 2, 3 and Casetta Menzja - which are all individually designed and styled. Beautifully designed in typical gozitan-style the luxurious hamlet farmhouses are full of character- guests will enjoy the latest facilities, within a traditional setting. Nestled in the tranquil village of Ghasri, the farmhouses boast picturesque views down the scenic valley towards the Mediterranean Sea. The Hamlet comprises four luxury farmhouses - Hamlets 1, 2, 3 - which are all individually designed and styled.